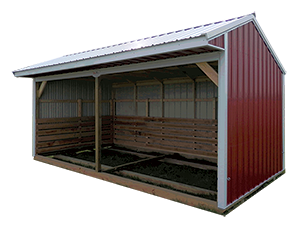 Animal Shelters are a great solution for your livestocks shelter needs. 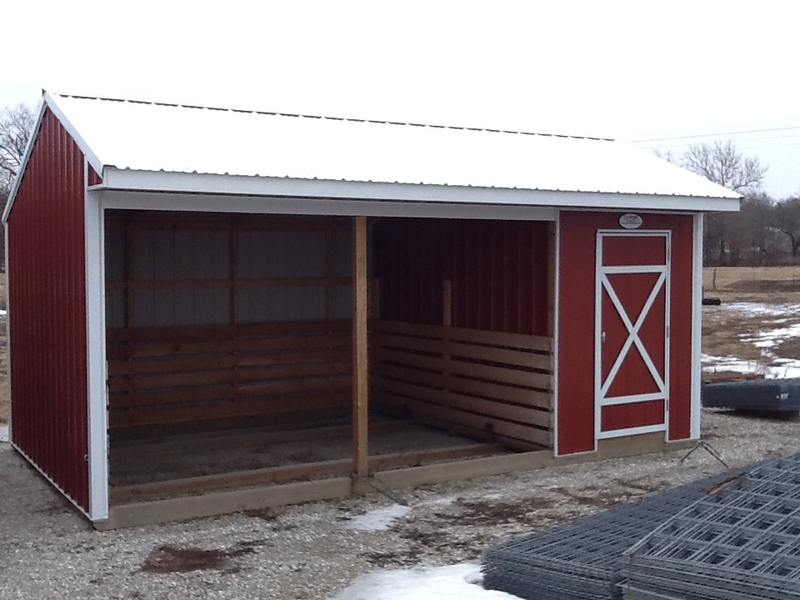 Our Animal Shelters can serve as a horse, calving, lambing or kidding barn. Quality hardwood white oak plank lined loafing area adds to the durability and protection to the inside of this shelter. A 90″ loafing area opening allows you room to easily create and remove sheltered pens when needed. Equipment, feed, and tack are essential too! Create this area room by including a 6′ wide room to organize and store all of your equipment, feed, and tack in. A 3′ single key locking door is great for loading and unloading all of your storage area. This area does not add length to your building, but insures you a way to keep your essentials dry and close by when needed. FOR EXAMPLE: If you purchased a 14′ x 32′ Animal Shelter your opening for animals would be 26′. 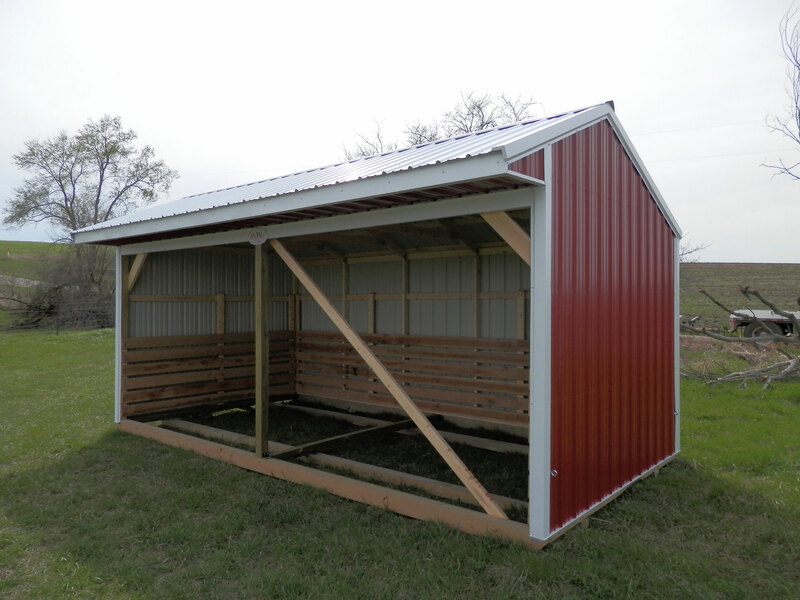 You would have 14′ x 26′ of shelter and a 6′ area for storage.